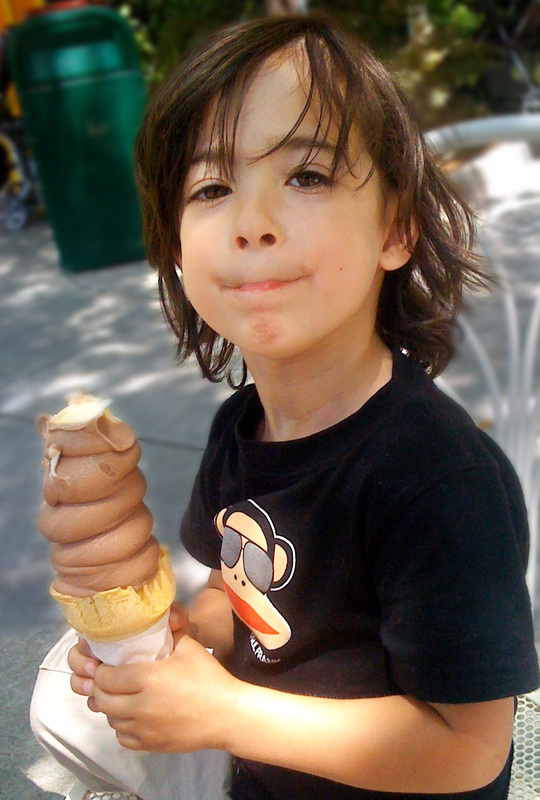 Soft serve contains air, called overrun, introduced at the time of freezing. Overrun affects profitability, appearance and taste. An optimal overrun product is dry in appearance and stiff. Air plays an important part. The added air can vary from 30 to 60% of the finished volume. The amount of air alters the texture of the finished product—and the cost. Air injection pumps are not a cheap add-on but inject about 30% more air into the mix, greatly reducing the required amount of mix, thus the cost. The air also stiffens the product, so it stands taller and melts more slowly. They are most beneficial where volume is high. 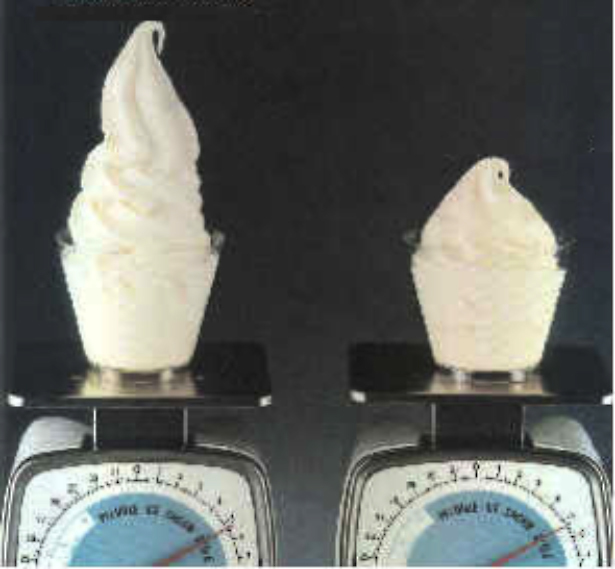 Avoid complexity: An important consideration in purchasing soft serve machines is the number of flavors they make. Each flavor requires a separate hopper, freeze chamber, complete with dasher, drive belts and flywheels, making the number of parts zoom upward, increasing the chance of failure. The most reliable machines offer two flavors “plus mix,” which means that the central lever opens both flavor ports, resulting in a mixed extrusion. CLEANING is important. Make sure your clerks know how to do this. Improper reassembly after cleaning can cause breakage. Hot, soapy water should be poured into the hoper and run thru a cleaning cycle. The front end with the levers has to be removed and washed. HEALTH-SAFETY: We ALWAYS recommend the customer buys a machine with cold hoppers, so the mix is maintained at refrigerator temperature. Refrigerated hopper machines need to be cleaned about every three days. More expensive machines sometimes offer an automatic hot wash, but this adds considerably to price. SERVICE: Service is always important although breakdowns are rare. Fortunately, we buy from a very large company, which offers service in almost every country. All machines have some plastic parts, particularly the front end levers, gaskets and extrusion ports. They wear out, so it is important to buy spares when you purchase the machine and replace them as they are consumed. Although premium hard ice cream sales continue to dominate the market, soft serve has risen again, thanks to a renewed yoghurt trend. 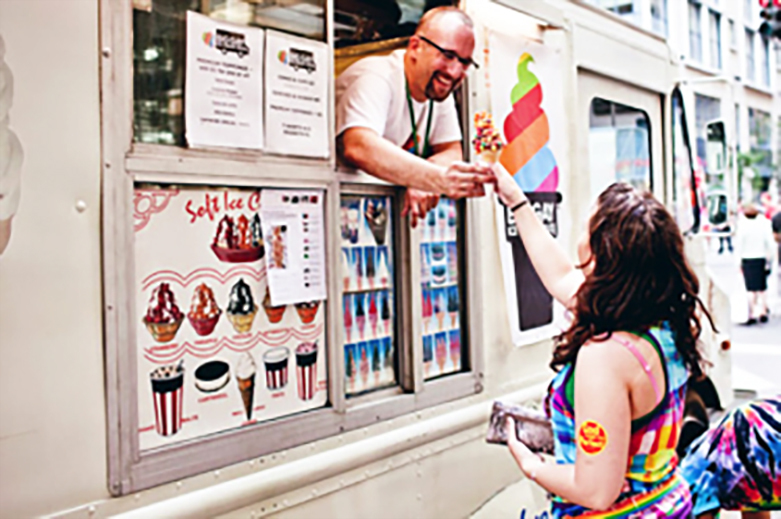 Although distained by Gelato Masters, soft serve has gone uptown. It is now served in crepes, waffles and as enticing sundaes, made in front of salivating, pop-eyed customers, who agonize in anticipation. Soft serve has its limitations, but also unquestionable strengths. Since it is made where it is sold, there is no manufacturing cost. It is a high overrun product, so ingredient costs are kept to a minimum. It is made “to order,” so storage freezers are unnecessary. Parents love the low price and kids love to make their own sundaes. 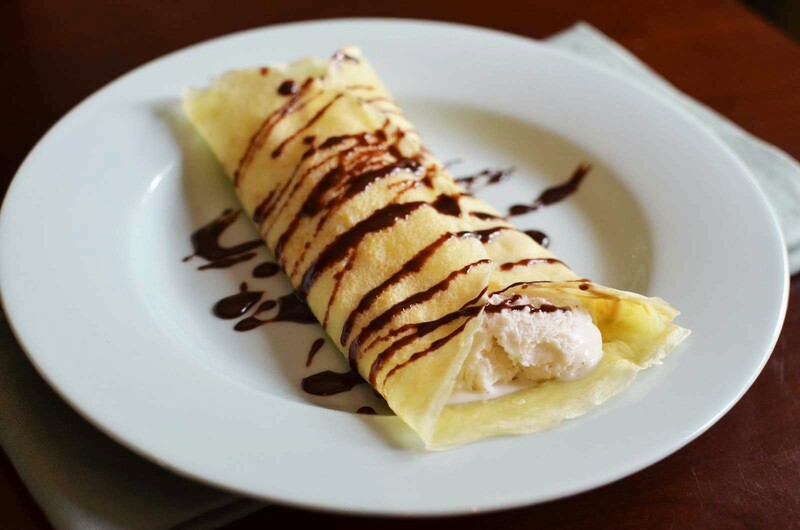 In upscale shops, married to fancy crepes and Belgium waffles or made into sundaes it is a rich, creamy treat and fun to eat. Soft serve machines are actually highly automated batch freezers. As the product is sold, more mix is automatically added to the freeze chamber from hoppers on the top of the machine. 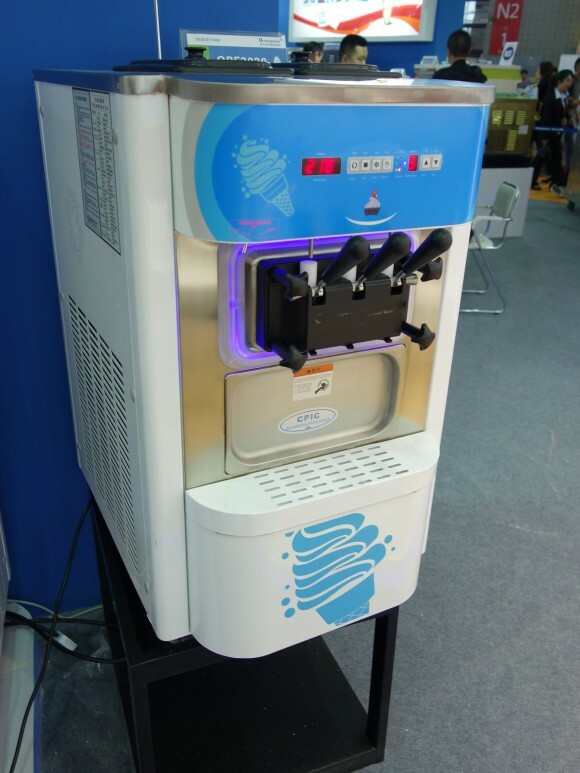 Soft serve machines are more automatic than batch freezers and contain more parts. It is much cheaper to make some of these parts from plastic and the cheaper machines have many. But of course the more plastic parts, the more likely a failure. So, looking for a bargain in soft serve machines is looking for trouble. A frequent question many customers ask concerns machine capacity. Some machines can produce up to 300 cones per hour or 5 cones per minuet—an absurd idea. 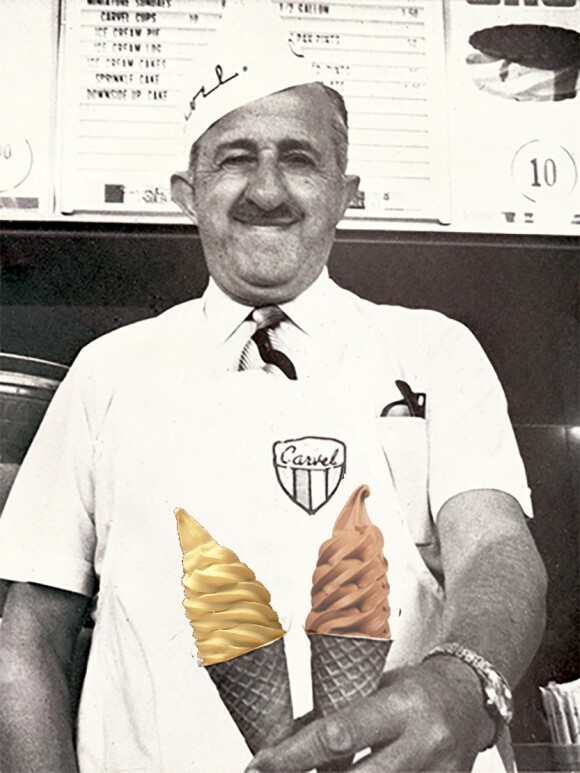 One would be delighted sell a cone every five minutes, requiring a machine that produces just 12 cones per hour. Clearly, as demand goes up, you need more machines to offer more flavors, not faster machines! COMPONENTS AND PRICE: The most important add-on is the cold hopper, which maintains the mix at refrigerator temperatures. It prevents spoilage and allows you to leave the mix in the machine over night. Cold hoppers also reduce cleaning time to every three days rather than every night. But cold hoppers have their own separate refrigeration system and this adds to the price. Soft serve machines are often the responsibility of minimally trained clerks. So, manufacturers trend toward cold-mix powdered bases, allowing easy storage and long shelf life. An untrained clerk just has to add water to create the mix. Soft serve has gone thru a revival, primarily as the result of the yoghurt trend, which changed the soft serve product image from junk food to something “healthy.” In fact, yoghurt, especially fortified yoghurt with sugar and flavoring is not much different in composition than regular ice cream, certainly not any healthier. But, as the marketing people say, the trend is your friend. Ironically, while “real” yoghurt is a popular food, it does not make a very good frozen dessert. The reason is because ice cream invariably has 29-36% solids and yoghurt has just 16%. The low solid content tends to make frozen yoghurt thin and icy. When I was a kid, Dairy Queen and Friendlies were what we call today “custard-out-the-window” operations. You stepped up to the window and the clerk handed you the ice cream. There are still many shops like that but marketing trends have begun to change. The biggest change is the trend toward self-serve. 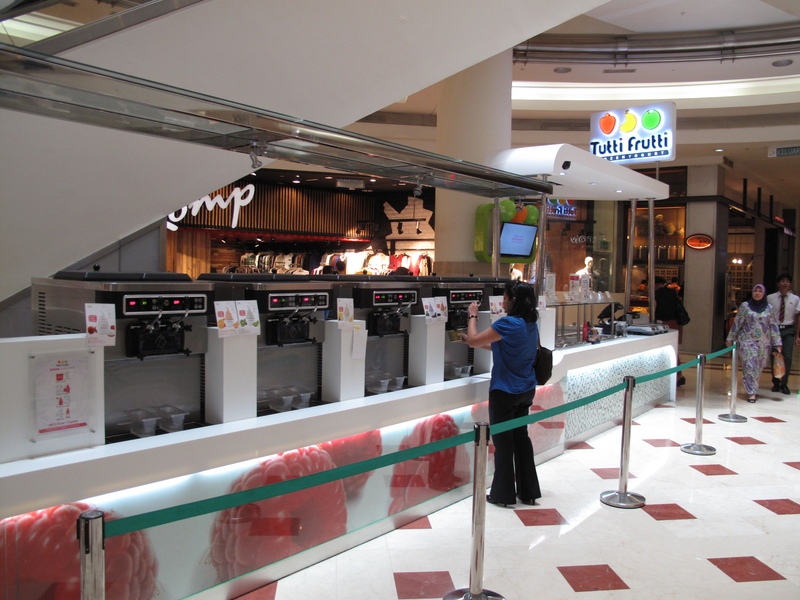 Many shops in the upscale malls line up many machines with many flavors and a topping bar, allowing the customer to make their own sundaes. The end product is sold by weight. 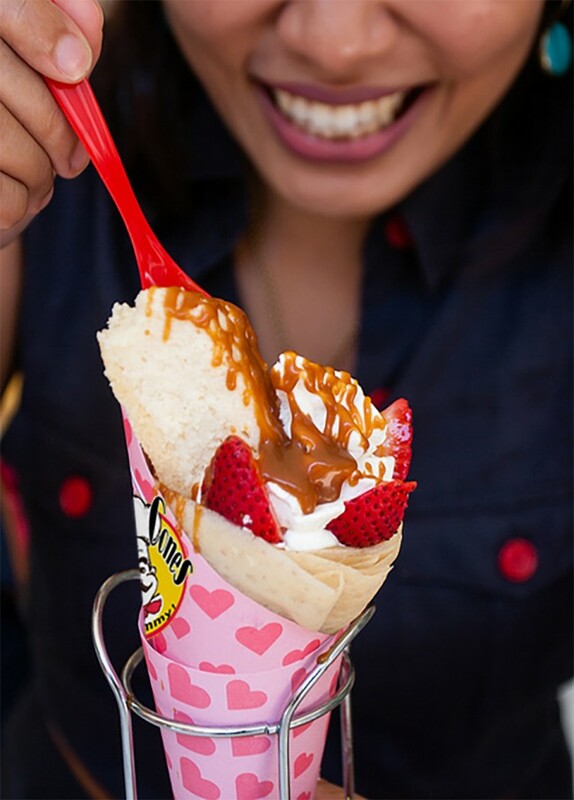 Another growing trend are soft serve crepes, where the crepe is fooled into a cone and put in a sleeve. Then, soft serve and toppings are added. Very elegant–ups bottom line. Last but not least, soft serve machines, particularly the countertop models, can be operated from vending trucks. An inverter supplies power directly from the truck engine. 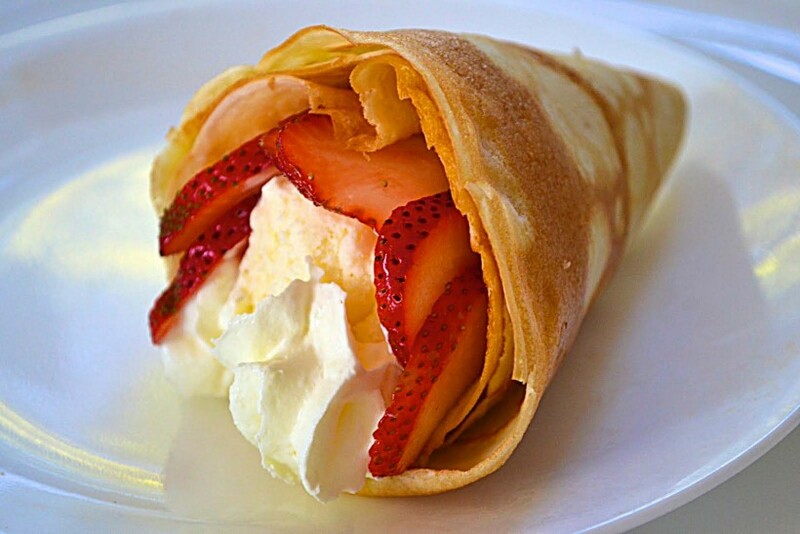 In some cases gas heated waffle machines or crepes made in pans over a cooker can add a touch of sophistication—and increase the bill.